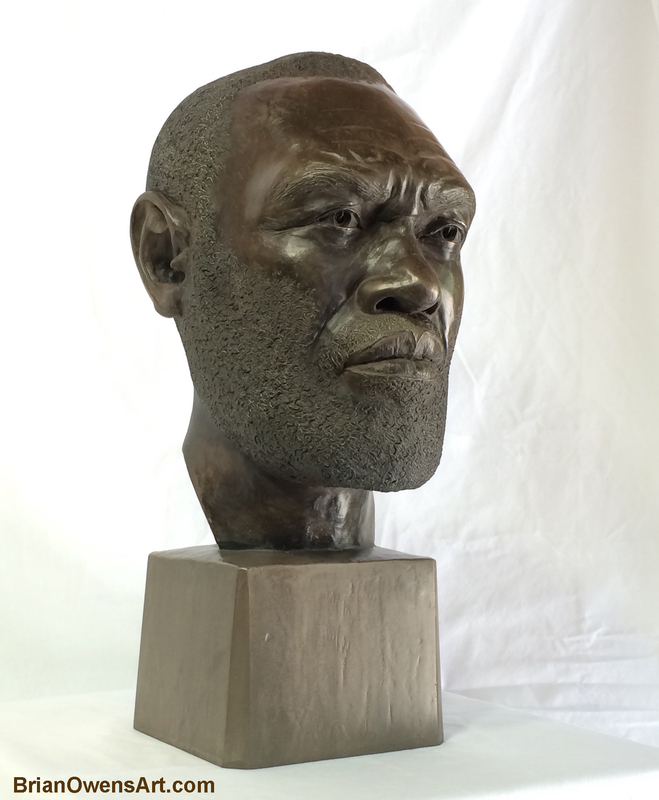 This is the sculpted portrait of Ptolemy Alexander Reid, Prime Minister of Guyana from 1980 to 1984, as it appeared in 2017 before it left my studio. Now it watches over his ashes. The portrait was commissioned by his family. 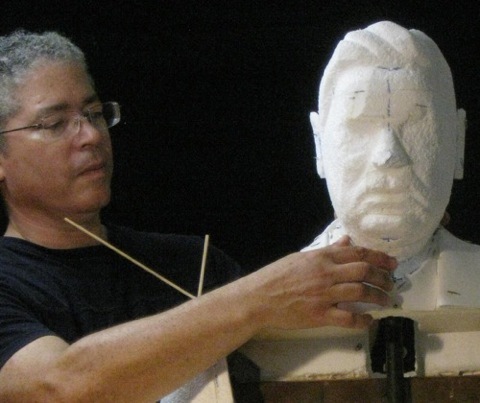 It's not everyday you are asked to sculpt a head of state. During the first conversation with my counterpart I told him directly that "projects such as this are why I became a professional artist". This was a challenging project because the Prime Minister is no longer with us. What few photographs of him exist were a poor reference to sculpt from, but my counterpart had a bright, direct sense of what I was doing that was correct and incorrect - and absolutely no problem asserting himself. The collaboration worked. He was quite pleased with the results as am I. The Co-operative Republic of Guyana borders the Atlantic Ocean, Brazil and Venezuela. It was formerly known as "British Guyana" and gained its independence from the UK in 1966. 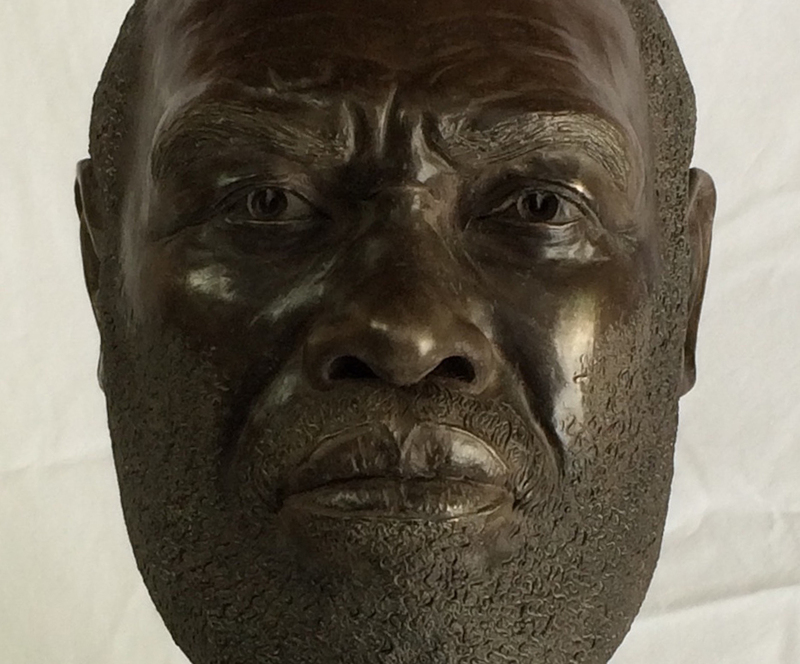 The portrait in installed on a stone under which his ashes are buried in the place of his birth, Dartmouth Village, Essequibo, Guyana. "We shall not cease from exploration, and the end of our exploring will be to arrive where we started and know the place for the first time."